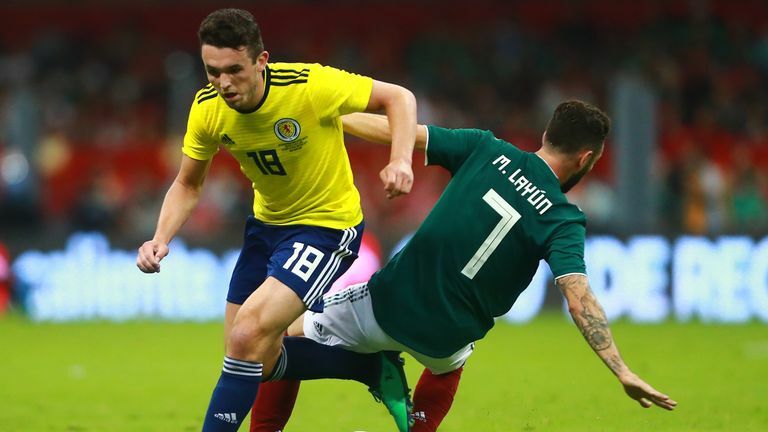 Aston Villa midfielder John McGinn says Scotland have no margin for error in the UEFA Nations League. Scotland play Albania on September 10 at Hampden Park, live on Sky Sports, with Israel also in their group. The new tournament has been designed to replace international friendlies with more competitive matches and will include promotion and relegation. Speaking to Sky Sports News, McGinn said: "I don't think so [on having any margin for error]. As it is a three-team league our aim is to top the group and give ourselves a chance for the play-off. "It's not easy ties, we obviously fancy ourselves to do well in it but in international football these days no tie is easy. "We respect the opposition but at the same time we have got good preparation on Friday and we are all set to go on Monday. "We did get sent a video describing it [the Nations League] - but I just thought I'll leave that out. Let's just try and win and we will take it from there. 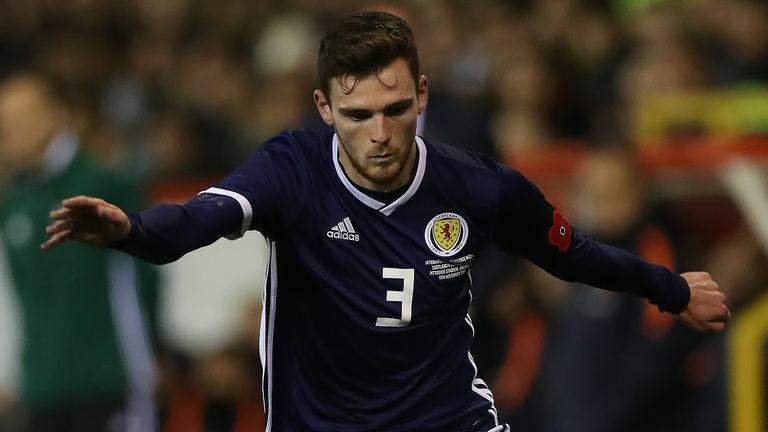 "I know in previous times Scotland have had to rely on 'oh but if we win this and win that' - we just need to try and focus on getting a good result on Friday [against Belgium in an international friendly]. "But more importantly on Monday starting the Nations League well and just try and stay on top of the group - that's the only sums we need." The tournament will also provide another route to qualify for the European Championship with four places available via play-off games. Scotland have improved over the last few years but are still yet to feature in a major finals since the 1998 World Cup. "This is a young exciting squad," McGinn added. "I think they can expect energy, a freshness, people that want to play for the country, that are determined to break the trend and get Scotland to a tournament we are all craving. "We know what it means to the Scotland fans as they are so passionate. A lot of us in there have been in the stands before so we know what it means. "Hopefully we can be that certain group who takes us to a major finals, we are going to do whatever we can, leave everything on the pitch. "We are going to try and outwork teams but then at the same time be brave on the ball, so hopefully we can start showing that."